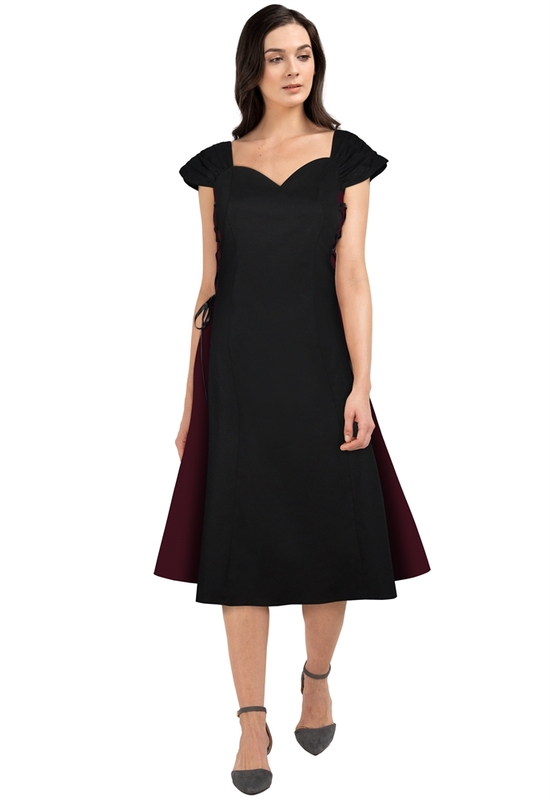 It's a Gothic dress with contrast panels and ribbons in both sides. Ruffles in shoulders. Back center zip. Standard size approx. length: 42 inches; Plus size approx. length: 46 inches.